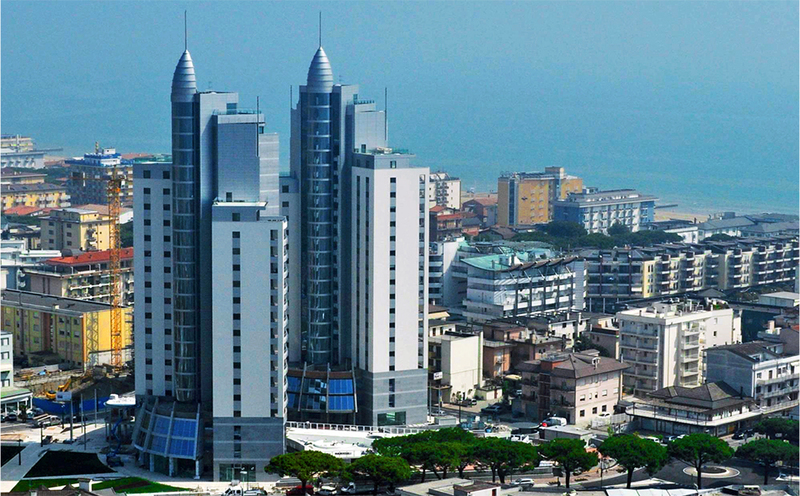 The Drago square complex is part of the “Jesolo – The City Beach” included in the masterplan designed by the Japanese architect Kenzo Tange. The project consists of the construction of two “twin” towers for commercial, business and residential use. The two 22-storey buildings occupy an area of 10,000 m2 with an overall volume of 42,000 m3.